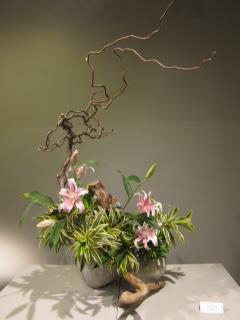 Kazuko Tanaka is an ikebana teacher and practitioner in the Koryu Shoutoukai School, which keeps the authenticity of Japanese ikebana in spirit while at the same time cultivating a modern style. 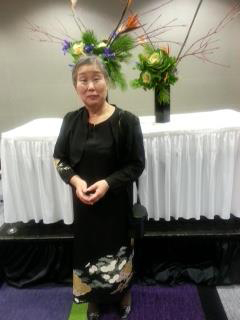 Born in Tokyo, Tanaka studied at Rikkyo University, and immigrated to Canada in 1983. 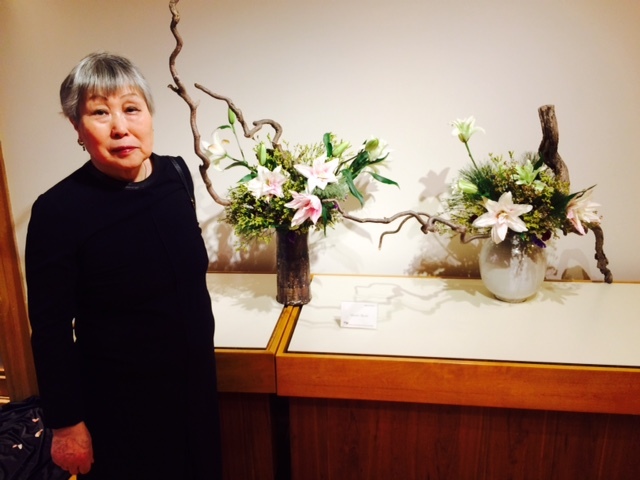 She earned her first degree teacher’s license from the Koryu Shoutoukai Headquarters in 2006 and master’s degree in 2007, and has served multiple times as the president of the Ikebana International Montreal Chapter. 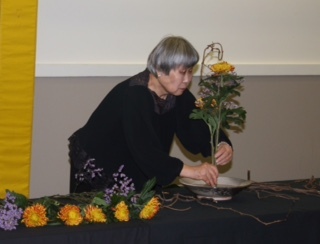 She teaches advanced ikebana classes for students and teachers in the Montreal area in French, English, and Japanese, under the ikebana name Riju Shoukousai.